Want to have some fun with Robotics? 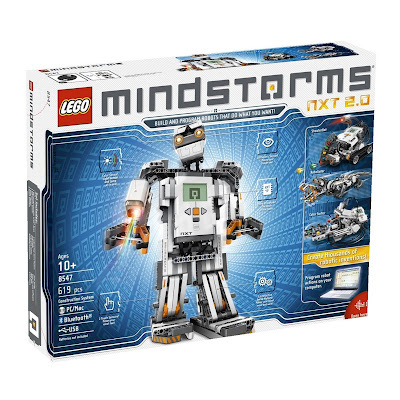 8547 LEGO® MINDSTORMS® NXT 2.0 is the right kit for you! To me Lego Mindstorms NXT is a dream come true. Why? Robotics! Robotics! Robotics! - The NXT programmable Brick with Bluetooth, USB, 7 I/O ports for sensors and motors, speaker, buttons, and LCD display. - 600+ pieces for assembling machines animals and humanoids. - Software for Windows and Mac for programming the NXT.